Academic advisement, post high school planning, and career information. Healthy life skills, healthy relationships, and coping skills. Responsive services, including crisis response, mental and emotional wellness skills, group counseling, and individual counseling. 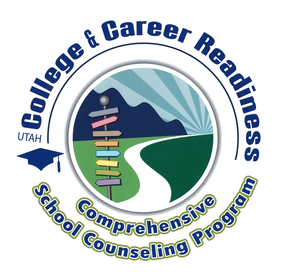 We make every effort to follow the counseling guidelines contained in the American School Counselor Association Code of Ethics. This means we will keep the information you share with us confidential—unless you give us permission to share it, or unless we are required by law or school policy to share it. When we must consult with other professionals to better help you. When we are required to release information by a school policy, state law, and/or the code of ethics for professional counselors. ​If you have any questions or worries about these privacy rules, please tell us! Your safety and welfare are our highest priorities. Although we encourage students to make appointments in the counseling center, they may seek guidance on a walk-in basis, during breaks, or when referred by a school staff member. If services are needed that we cannot provide, resources or referrals might be recommended.